Alongside technology, design is the key criterion that decides whether or not a car is regarded as attractive. Throughout its history (and prehistory), Audi AG has always understood how to strike the right balance between these poles. The results have been so harmonious that models bearing the four interlocking rings have always been among the most sought-after cars on the planet. The current automobile design with the single-frame radiator grille is a perfect example of the well-conceived, consistent approach to this model family. The ever-increasing sales figures enjoyed by Audi worldwide are a testament to the value that good, minimalist design has gained in everyday life. It is thus hard to think of a better time to publish the standard reference work on this subject – in both German and English. 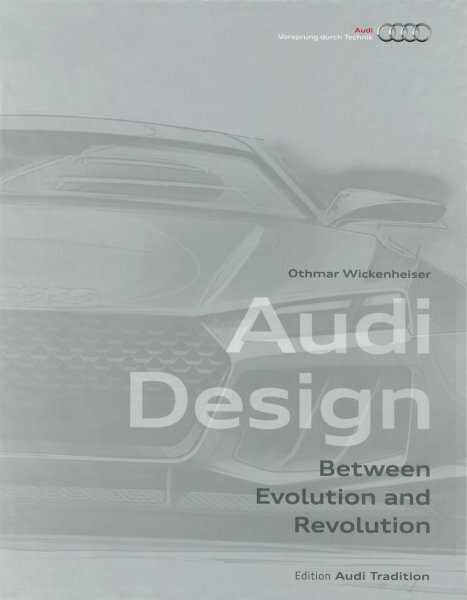 Over two volumes, Prof. Othmar Wickenheiser , who specialises in the development of car design, explains and analyses the Audi aesthetic in all its aspects. When describing the work of automobile designers, he has the uncanny knack of explaining complex matters using crystal-clear examples, also drawing attention to details that might otherwise go unnoticed. The past, present and future of the marque are seamlessly linked into a fascinating masterpiece that is sure to please a wide audience, not just the fans of Audi design.